Luxury resorts were firmly off the menu for a whole host of celebs in 2018, with many opting to venture off the beaten track instead. With this in mind, custom printed beach towel company We Are Promotional has predicted 2019’s alternative holiday destinations that the rich and famous will be jetting off to in 2019. This beautiful Balkan country is set to be a celebrity hotspot since the Beckhams spent some time here. We can expect to see many more famous faces jetting off to the Adriatic coast this year as an alternative to the usual luxury resorts. 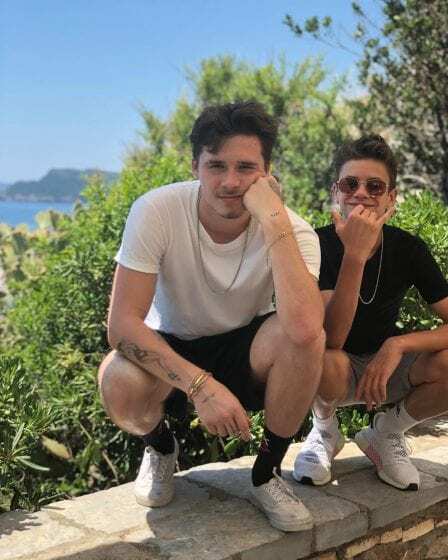 Mind you, the Beckhams weren’t exactly slumming it – they stayed at St Stephen island, a small islet and five-star hotel resort near Budva. The charming seaside hideaway resort is one of the most attractive locations on the Motenegran coast, boasting lush grounds and stunning sea views, and was featured in the Bond movie Casino Royale. Just a few miles up the coast is the resort of Budva itself – a favourite with Madonna and Rihanna – where accommodation can be more reasonably sourced with the views no less spectacular. 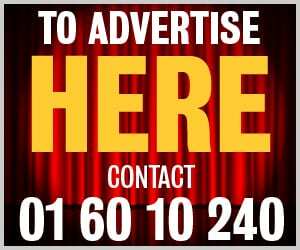 Admittedly, former Miss World Rosanna Davidson was not exactly on a budget holiday as she toured the stunning Majorcan coast aboard a yacht for a friend’s hen weekend. Rosanna lapped up the sunshine before taking a dip in the crystal-clear turquoise waters of the Mediterranean, all the while admiring the stunning coastline. Her long-haul destination of choice is Mauritius, but she seemed perfectly at home getting a healthy dose of Vitamin D closer to home – and the good news is that Majorca is accessible on pretty much any budget (yacht not included). Known as the spice isle, this little Caribbean country is fast becoming an a-list holiday hotspot with supermodel Jourdan Dunn and actress Michelle Rodriguez spotted holidaying there. Fast and Furious actress Michelle rang in the New Year at the stunning island getaway in the southern Caribbean. 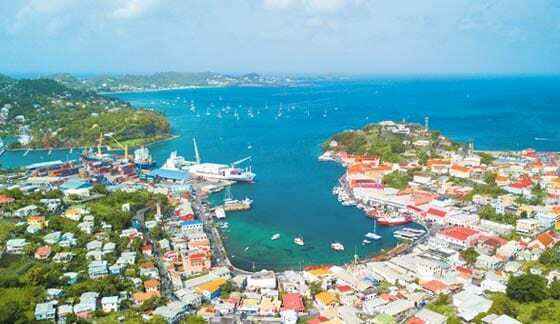 She was spotted partying at the famous Port Louis Marina in the city of St George. She visited a few of the most popular attractions, including the Concord waterfall, and went snorkelling off the island’s west coast at the world’s first underwater sculpture park at Moliniere Bay, home to more than 100 statues and beautiful reefs. Expect to see even more enviable Instagram snaps as A-listers jet off to this off-the-beaten-track island in the West Indies. 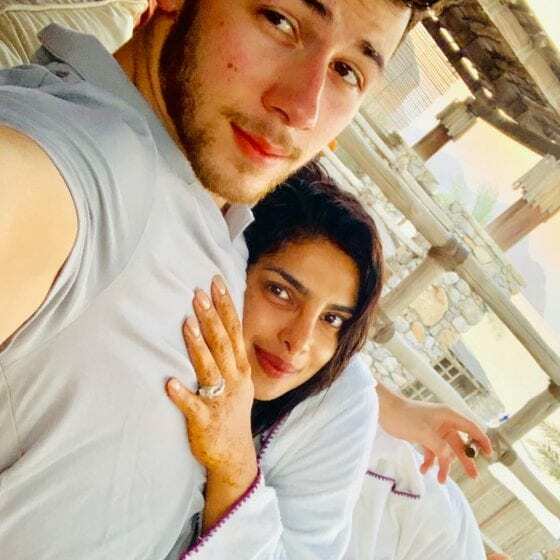 With idyllic, unspoilt beaches and tropical climate, Oman is set to be the hottest celeb destination for 2019 with newlyweds Priyanka Chopra and Nick Jonas spending time here in 2018. During their stay the couple documented their every move from their beachside resort and lamented the fact that they had to cut their trip short due to work engagements. The Sultanate of Oman is Middle Eastern jewel with breathtaking tourist attractions to rival the likes of Dubai or Qatar. Its Al Bustan Palace Hotel was reopened after an extensive 18-month renovation and the Royal Opera House Muscat has also undergone a major revamp. With increased flights to Muscat International Airport, this opulent Arabian destination is easy to get to for holidaymakers looking for an alternative and interesting destination for 2019. New mum Vogue Williams is a presenter on RTE’s holiday show Getaways so she’s no stranger when it comes to exploring new shores and capturing their good side. While on a holiday in the Caribbean resort with husband Spencer Matthews and son Theodore, she posted a series of enviable snaps on Instagram. One showed her practising yoga on the volcanic island, a former French commune, while other images show the family on one or other of the 22 white sandy beaches dotted along the coastline. Keen divers can check out the spectacular coral reefs, while hikers will appreciate St Barts’ highest inland peak, Morne du Vitet, at 938ft. Holidays as educational experiences are set to be big news in 2019. A city packed full of history, fashion and fun hit the headlines when singer Robin Thicke jetted off to the South Korean city with his son, for a fun and fact-packed trip. Thicke revealed he was checking off a bucket list item with his eight-year-old son Julian as they took in the flea and street markets, historic sites and temples in the stunning city. Not sure if they had time for the ‘Gangnam District Tour’ or the full day excursion to Nami Island, but they had a ball by all accounts. Princess Beatrice, Ellie Goulding, Karlie Kloss and Misha Nonoo were all spotted on holiday here in 2018, making this an unexpected but popular holiday destination for 2019. They were spotted on several nights out and travel companies have finally cottoned on to the fact that all-female travel is a thing, and are rushing to meet demand. Jordan is among the most popular Eastern destinations where travellers can take a camel ride into the desert and learn about henna art directly from Bedouin women. From exploring the impressive lost city of Petra to relaxing on the salty shores of the Dead Sea, Jordan makes for a fantastic alternative destination for 2019. Naomi Campbell, along with French actress Farid Kheld and singer Maluma were all spotted cruising along the Adriatic coastline of Croatia. Dubrovnik, hailed as the pearl of the Adriatic, is now jam-packed with tourists but the fishing ports in Rovinj and Cavtat share the same coastline. The preferred mode of transport is water taxi or ferry to visit the archipelago islands or the Istrian port town of Porec. Famous for both its breathtaking architecture and coastline, Croatia is becoming a haven for celebrities looking to venture off the beaten track.